Quick Thought #19: Translations and Why They Matter Most. Last week, I came across a website called Smartling, and was inspired to write this post. Smartling is a software company for websites that want to make their website available internationally by translating it into all types of languages. Smartling takes the complexity, cost and time out of the translation process by providing companies with an automated, cloud-based translation management platform and comprehensive translation services. Now, you are probably thinking “Alyssa, how does this have anything to do with books or reading?” Well, I have a good answer for you. Those stories tell a rich tale, that only a good translator could write. Most stories take an emotional tole, and many of those emotions could not possibly be put in words. For me, the story comes from the words that are not written on the page, but written on you. Everybody takes stories differently, and shouldn’t that still be captured while the story is translated? Just because the book was not written in English, doesn’t mean that it should not be enjoyable/readable for all. Many do not realize the value of the written word. Wonderful books to this very day may not be translated into a fluent language that international readers read. 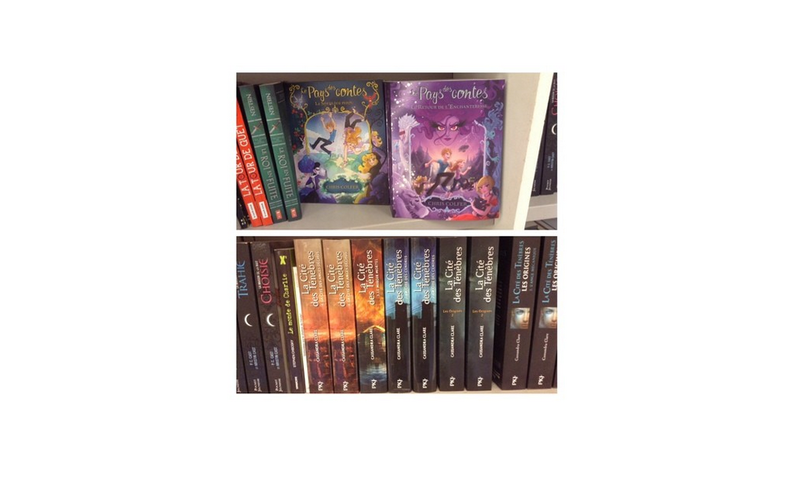 A few months ago, I was walking into a bookstore and found a copy of The Mortal Instruments AND The Land Of Stories translated into another language. Where I live, we are lucky enough to be able to have translated pieces of fiction, although others may not be as lucky. The most important aspect that I would like to get across in all works of any translated book would be the imagery/visualization. All people should be able to have the creativity to be able to visualize what they think is happening in the book. If most visualizations of the same book look like the same concept to everyone, then the translator has done their job to create a verified version of the same piece of fiction for EVERYONE to enjoy! I hope that you enjoyed this post. To be honest, I believe that this is one of my favourite posts that I have ever written on my blog, and I hope that you enjoyed it as much. If you are a company or have a website that you would like to be translated, don’t forget to check out Smartling.